Zombie Makeup. 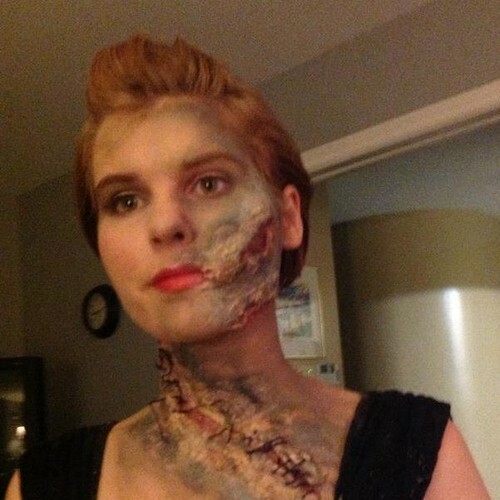 Zombie makeup I did on myself for a Muzik video shoot at school ^^. Wallpaper and background images in the Zombies club. This Zombies photo might contain potret, headshot, closeup, and headshot closeup.